Somerset Care is a not-for-profit care provider; this means that they don’t have any shareholders, so any money they make is reinvested into their business for the benefit of their care-users. They provide residential and nursing care for older people in 31 care homes in Somerset, Gloucestershire and on the Isle of Wight, and also manage a facility for adults with physical disabilities in Taunton. 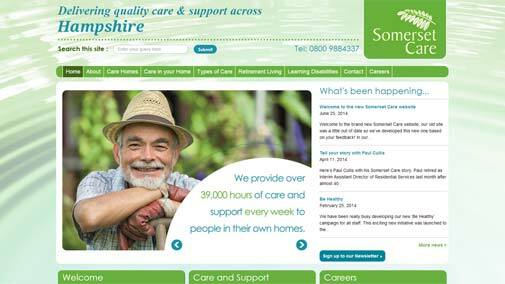 Somerset Care approached Cosmic for a website that needed to feature a news feed on the home screen, but also be responsive for use on tablets and phones.